This year was exciting for me because I decided to launch a training guide for Local SEO that I spend time updating every month. When I started the project I knew it would be time consuming but didn’t quite realize how much would need to be put into the guide to keep it current and accurate. I spend 4-6 hours a month updating it but the list of stuff to add still keeps growing. 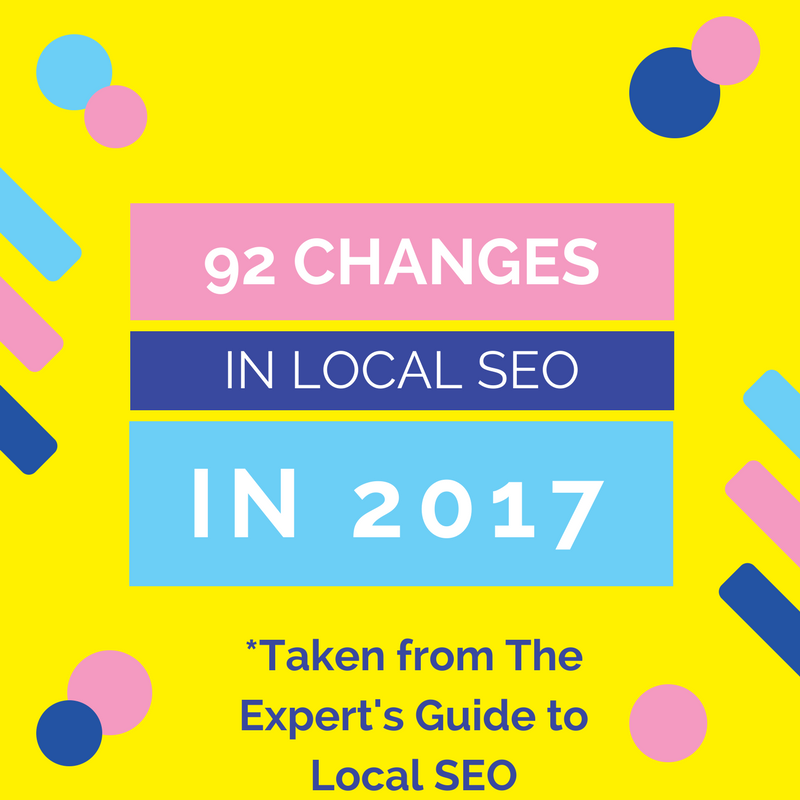 Part of why my current subscribers find the guide so valuable is because it helps them keep track of the ever-changing nature of Local SEO. What tactics still work? Which ones don’t? What tips or tricks help you get the most of the new features Google My Business has implemented? These are the questions I’m seeking to answer. As a conclusion to a great year, I wanted to list out all the changes that I’ve been tracking along with some things that are to come. Google rolls out moderation on desktop to Level 5 Local Guides (March 2017). A few weeks later it rolled out to everyone. Does liking a review have any impact on how it shows up? Does using Yext actually help ranking? Does optimizing photos in GMB have any impact on ranking? My list of things to add is currently at 47 topics and growing fast. What was your favorite change in 2017? If you have any suggestions of things you think I should look a next, please leave them in the comments. 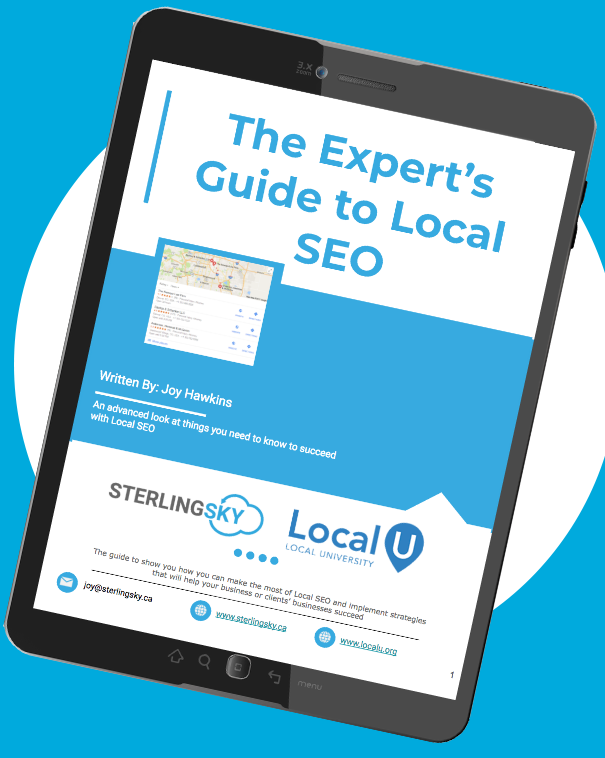 The Expert’s Guide to Local SEO is for sale over at LocalU.